Explanation: What evil lurks in the hearts of galaxies? This Hubble Space Telescope picture of the center of the nearby elliptical galaxy NGC 4261 tells one dramatic tale. 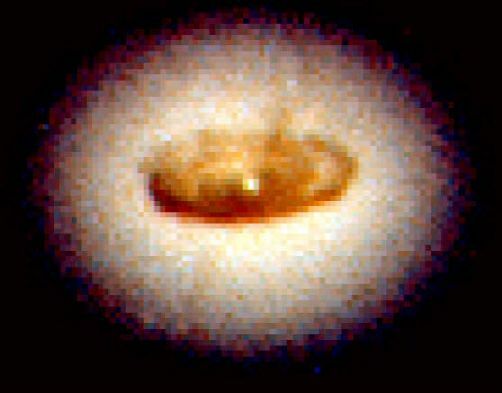 The gas and dust in this disk are swirling into what is almost certainly a massive black hole. 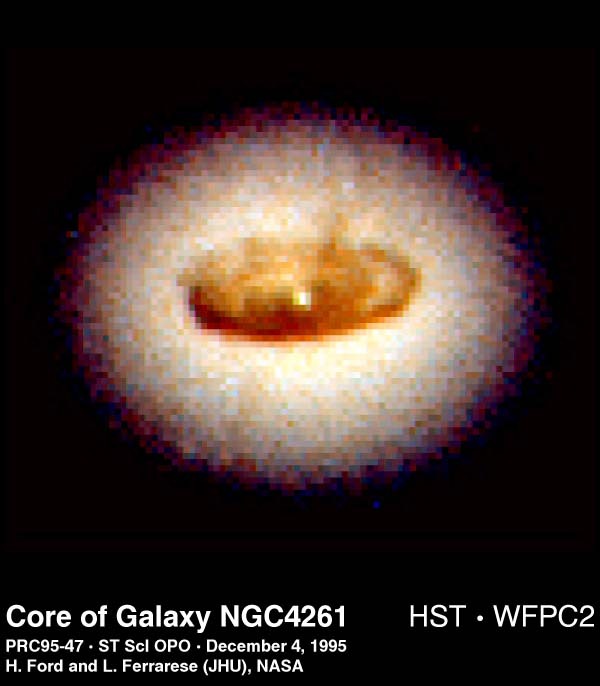 The disk is probably what remains of a smaller galaxy that fell in hundreds of millions of years ago. Collisions like this may be a common way of creating such active galactic nuclei as quasars. Strangely, the center of this fiery whirlpool is offset from the exact center of the galaxy - for a reason that for now remains an astronomical mystery.